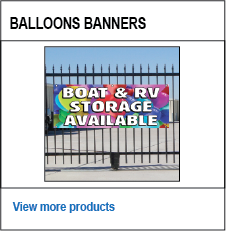 Self Storage Banners are the most popular form of signage available. 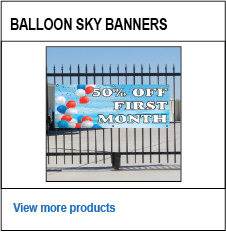 They are durable, weather-resistant, easy to roll up and are great for indoor or outdoor use. 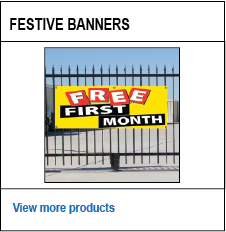 You can create your own banner by adding a company logo or graphics and add your own message. 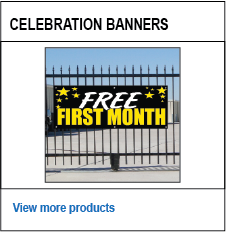 Banners are also used to promote your business, event, birthday or anniversary. 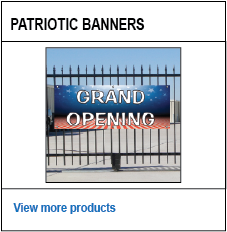 Our custom vinyl banners are printed on 13oz vinyl material with a tough tensile strength which means they hold up in the environment. 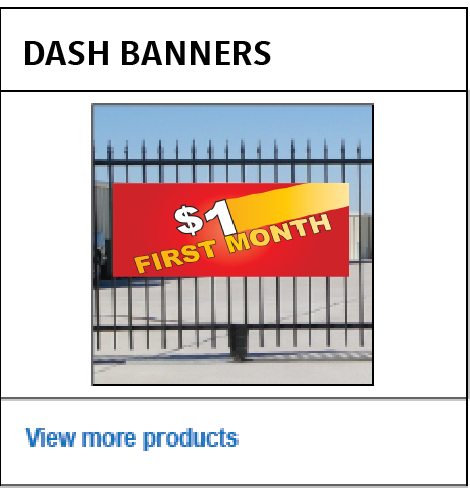 We usually add nickel grommets every 2’-3’. 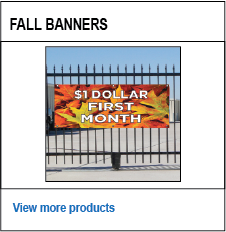 13 oz matte vinyl. Left and right sides are fold over with reinforcement tape. Nickel grommets applied every 2’ - 3’ with reinforcement patches.